This is an exciting opportunity to join a Designated, Level III Trauma Team at San Joaquin General Hospital (SJGH). SJGH’s Trauma Team is seeking a dynamic and experienced Trauma Nurse Clinician to join a team of experts that consist of dedicated Emergency Physicians, Trauma Surgeons, Nurse Practitioners, intensive care nurses, emergency department nurses, and respiratory and radiology technicians. The Trauma Nurse Clinician coordinates the care of trauma patients in the emergency room, and assists and monitors the care of the patient through the hospital continuum of care. The position also coordinates care with various disciplines and ensures that protocols, processes, and care are implemented for the trauma patient. The Trauma Nurse applies knowledge of the nursing process to trauma patients to ensure appropriate care. The work schedule will include working nights, weekends, and holidays. For information regarding San Joaquin General Hospital, please visit our website at www.sjgeneral.org. The eligible list established may also be used to fill part-time positions. **Indicate your interest in Employment Type when completing application, under "Profile" > "Employment Preferences"
When completing your application, select the departments for which you want to be considered for employment. Shifts may be either AM, Nights, or PM shifts depending on each department’s need. In addition, the shifts include coverage for weekends and holidays. Resumes will not be accepted in lieu of an application. A completed application must be postmarked or received online by the final filing deadline. · Initiates the trauma nursing process and performs advanced level clinical patient care, including complex and difficult therapeutic measures prescribed by medical authority within the limits of Nurse Practice Act and department policy. · Continuously monitors trauma bays to ensure readiness of equipment and supplies. Follows-up and coordinates with other departments to ensure support is provided to ensure readiness of trauma bays. · Responds to each Trauma Activation immediately upon notification. Assumes responsibility for patient by receiving report from Mobile Intensive Care Nurse (MICN) and determines if activation level is appropriate. Identifies and prepares essential staff for incoming trauma cases. Monitors sound levels to ensure patient status and care is accurately communicated. · Oversees initial resuscitation of trauma patient, ensures scribe accurately, and completely documents the assessment of the patient. Reviews and ensures other required documentation is complete and accurate. May assist in the resuscitation of patients. · Initiates and oversees all aspects of trauma patient care. As required, coordinates call of Operating Room staff. Monitors proper access of Massive Transfusion Protocol (MTP) refrigerator and ensures blood units are scanned and monitored. Ensures patient receives medication for pain, antibiotics, and other required interventions. · Coordinates care with medical staff and ensures appropriate monitoring of patient based on severity of trauma. Maintains readiness of staff and monitors patient care by accompanying patient throughout the hospital. Follows and accompanies patient's movements, e.g. to ancillary services for testing and diagnostics. · Coordinates with other hospital staff to ensure ongoing assessment of patient by other staff and that documentation of trauma patient care is complete and accurate. Follows patients to operating room and assists if required. Monitors blood usage. Responds to Post Anesthesia Care Staff (PACU) to assist with continued resuscitation, as needed. Coordinates post care with Intensive Care Unit (ICU) and may assist with recovery of patient in ICU. Monitors patient until adequate staff is available to care for patient in ICU. · Rounds on trauma patients and ensures that all orders written have been carried out and documented in logs and other records. Determines status of discharge planning and follows up with appropriate staff. · Participates in Performance Improvement by checking for needed audits. Audits patient care records identified through the PI process and makes notes for the Trauma Program Director (TPD) and Trauma Medical Director (TMD). · As required assists Emergency Department by providing professional registered nurse duties. Serves as a resource in house and responds with Nursing Supervisor, if needed, to help assess, stabilize, or help Rapid Response Team. · Maintains and updates knowledge base and nursing skills by reading literature, attending workshops, lectures, conferences, and classes as may be required. · Participates on committees as assigned. · Prepares and presents, within established guidelines, clinical projects as assigned. Note: The following special requirements were approved by the Civil Service Commission on June 13, 2018. Experience: Two years of progressively responsible advanced critical care registered nursing experience in a high volume (a minimum of 2500 ER visits per month) Emergency Department, Intensive Care Unit, PACU (Recovery Room), or as a Flight Nurse or Trauma Nurse Clinician. Certification: Possession of 1) Current Advance Cardiac Life Support (ACLS) and BLS certification, 2) A certificate of completion of Trauma Nurse Core Curriculum (TNCC) and 3) Pediatric Life Support (PALS) or Emergency Nurse Pediatric Course (ENPC). Education: Possession of a Bachelor's Degree in Nursing, Health Science, or closely related field. Experience: One year of progressively responsible advanced critical care registered nursing experience in a high volume (a minimum of 2500 ER visits per month) Emergency Department, Intensive Care Unit, PACU (Recovery Room), or as a Flight Nurse or Trauma Nurse Clinician. Licenses and Certificates: Current registration as a registered nurse in the State of California. Special Requirements: Must successfully complete the Emergency Medical Services Agency (SJEMSA), Mobile Intensive Care Nurse (MICN), AND Trauma Care after Resuscitation Course (TCAR) or Transport Nurse Advanced Trauma Course (TNATC) within one year from date of employment with San Joaquin General Hospital. Offer of employment is contingent upon passing a pre-employment physical exam and a drug screening test. Demonstrate in depth knowledge of resuscitation and care of critically injured patients; theory, techniques, and practices of trauma nursing; new developments in patient care, particularly in area of trauma; skills specific to clinical scope of practice; the nursing process; health care safety principles and practices. Ability to show initiative, work effectively, and collaboratively with hospital staff; ability to be self-directed and work well under pressure, meet deadlines and use judgment in balancing work priorities; demonstrate proficiency with continuous bedside monitoring and telemetry, vasoactive medications, hemodynamic monitoring and pressure lines, as well as patients receiving mechanical ventilation; maintain accurate records and prepare routine reports; accurately follow oral and written instructions of technical and professional nature; coordinate the care of the trauma patient with other disciplines and the family. Mobility-Constant walking; frequent operation of a keyboard; standing for long periods of time, pushing/pulling, bending and squatting; occasional sitting for long periods of time, running, climbing stairs and climbing; Frequency of Lifting-Frequent restraining lifting/turning of heavy objects or people; Visual Requirements-Constant need for overall vision, color and depth perception, hand/eye coordination, and field of vision/peripheral vision; frequent reading and close up work; Dexterity-Frequent holding, reaching, grasping, repetitive motion and writing; Hearing/Talking-Constant hearing of normal speech; frequent hearing and talking on telephone or radio; occasional hearing of faint sounds and talking over public address; Emotional/Psychological Factors-Constant concentration and public contact; occasional exposure to hazardous materials, frequent exposure emergency situations, including trauma, grief and death, decision making, working weekends and nights; occasional work at heights, working alone and overtime; Environmental Conditions-Frequent exposure to assaultive behavior by clients; occasional exposure to noise, cold/heat, and hazardous materials, dirt, dust, smoke, fumes and poor ventilation.  Health Insurance: San Joaquin County provides full-time employees and part-time employees eligible for benefits with a choice of three health plans: a Kaiser Plan, a Select Plan, and a Premier Plan. Employees pay a portion of the cost of the premiums. Dependent coverage is available for all plans. 10 years of continuous service or more: $10,000 Employees may purchase additional term life insurance up to a maximum of $200,000 at the group rate. Retirement Plan: Employees of the County are covered by the County Retirement Act of 1937. Please visit the San Joaquin County Employees’ Retirement Association (SJCERA) at www.sjcera.org for more information. NOTE: If you are receiving a retirement allowance from another California county covered by the County Employees’ Retirement Act of 1937 or from any governmental agency covered by the California Public Employees’ Retirement System (PERS), you are advised to contact the Retirement Officer of the Retirement Plan from which you retired to determine what effect employment in San Joaquin County would have on your retirement allowance. Vacation: Maximum earned vacation is 15 days each year up to 10 years; 20 days after 10 years; and 23 days after 20 years. Accrual rate is prorated for part-time employees eligible for benefits. Holiday: 14 paid holidays per year. Educational Leave: Each fiscal year, department heads grant 40 hours to full-time employees or 24 hours to part-time employees eligible for benefits of educational leave that are not carried beyond the end of the fiscal year. Sick Leave: 12 working days of sick leave annually with unlimited accumulation. Sick leave incentive: An employee is eligible to receive eight hours administrative leave if the leave balance equals at least one-half of the cumulative amount that the employee is eligible to accrue. The employee must also be on payroll during the entire calendar year. Merit Salary Increase: New employees will receive the starting salary, which is the first step of the salary range. After employees serve 52 weeks (2080 hours) on each step of the range (1840 hours for part-time employees), they are eligible for a merit increase to the next step. Standby Pay: Employees designated by appointing authority to be in standby status is compensated at 33.33% of their regular hourly rate. For those classifications that require a Bachelor's of Science in Nursing, the nurse has a Master's of Science in Nursing. Possess National or approved International certification in the specialty area in which the nurse currently is assigned. Possess CCRN Certification and active ACLS Certificate. Provide proof of completion of a critical care class and active ACLS Certificate. License/Certificate Fees: The County provides reimbursement for specific classifications under the CNA MOU for fees required to renew State required license/certification. Fees associated with initial license/certification will not be covered. Pre-Employment Physical Exam: If required, will be conducted at San Joaquin County General Hospital at no cost to the employee. Job Sharing: Any regular, permanent full-time employee may agree to job-share a position, subject to approval by a Department Head and the Director of Human Resources. Educational Reimbursement Program: The County offers an Educational Reimbursement Program. Eligible employees (civil service and part-time eligible for benefits) may be reimbursed for career-related course work taken on the employee’s own time up to $850 per fiscal year; an employee enrolled in an approved degree program may be reimbursed up to $800 per semester for a maximum of $1600 per fiscal year per fiscal year. Eligible Lists: Candidates who pass the examination will be placed on an eligible list for that classification. Eligible lists are effective for nine months, but may be extended by the Human Resources Director for a period which shall not exceed a total of three years from the date established. Rule of the Rank: The top rank or ranks of eligibles will be referred for hiring interviews. The minimum number of names to be referred will be equal to the number of positions plus nine, or 10% of the eligible list, whichever is higher. When filling nine or more positions in a department at the same time, the top rank or ranks will be referred and the minimum number of names shall be two times the number of positions to be filled or 10% of the eligible list, whichever is higher. This applies only to open competitive recruitments.